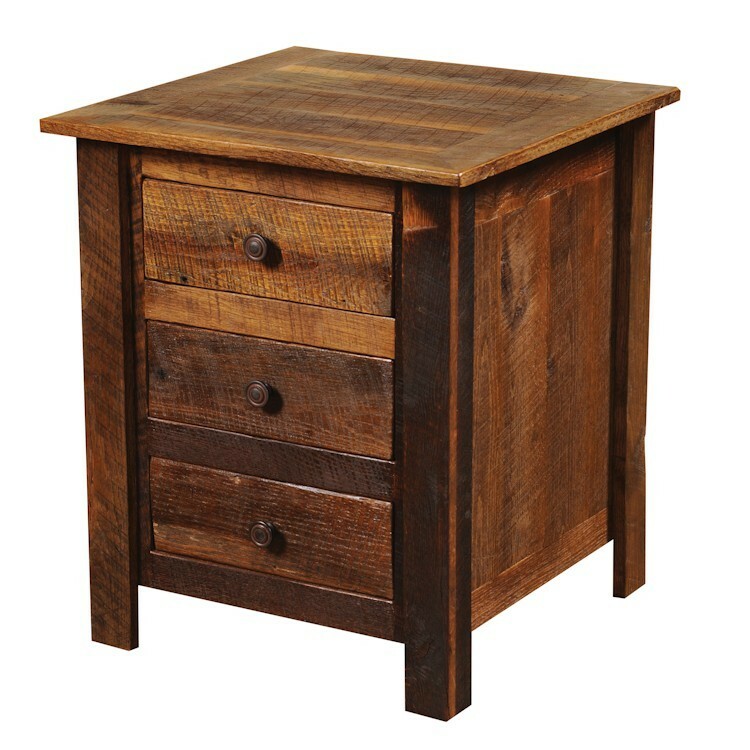 Our Barn Wood Enclosed Nightstand is made from reclaimed Red Oak planks from 1800's tobacco barns. Each individually hand crafted piece features a dull catalyzed lacquer finish that is extra durable and retains the wood's natural character and is accented with your choice of legs made from kiln dried Hickory logs or barn wood and antiqued rusted iron hardware. 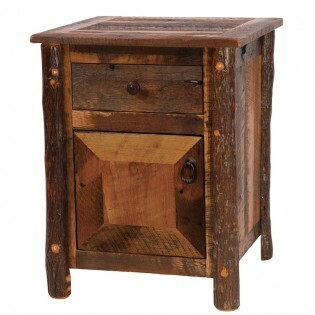 Our Barn Wood Enclosed Nightstand is made from reclaimed Red Oak planks from 1800's tobacco barns. 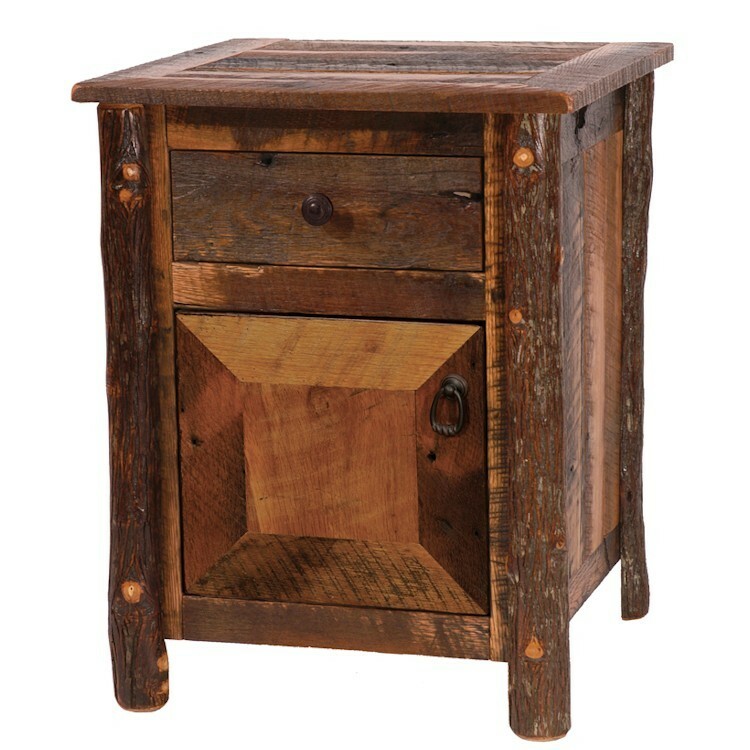 Each individually hand crafted piece features a dull catalyzed lacquer finish that is extra durable and retains the wood's natural character and is accented with your choice of legs made from kiln dried Hickory logs or barn wood and antiqued rusted iron hardware. All hinges are concealed European Style for a clean uncluttered look, dovetailed drawer is inset with full-extension ball-bearing glides rated at 100 pounds.